Info about "Fedor Emelianenko video"
Fedor Vladimirovich Emelianenko (Russian: (born September 28, 1976) is a Russian heavyweight mixed martial artist. 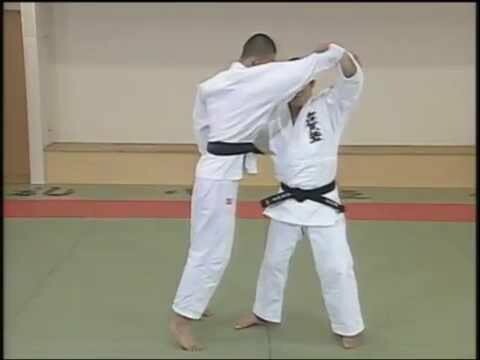 He has won numerous tournaments and accolades in multiple sports, most notably the Pride 2004 Grand Prix and the World Combat Sambo championship on four occasions, as well as medaling in the Russian national Judo championship. He holds the distinction of having held five separate major championships, including the RINGS World Heavyweight and King of Kings Championships, the Pride Fighting Championships World Heavyweight and Heavyweight Grand Prix Championships, and the World Alliance of Mixed Martial Arts Heavyweight Championship. 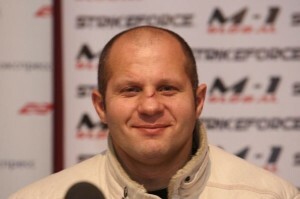 Emelianenko has received widespread acclaim from several major publications, including Sports Illustrated, USA Today, and Sherdog.com. Many analysts, as well as former and current fighters, consider Emelianenko to be the greatest mixed martial artist of all time. He remained undefeated for nearly a decade, during which time he was widely considered the best heavyweight fighter in mixed martial arts.